It seemed like a simple case before the bodies starting piling up. Investigator Elvis Cole and his partner, Joe Pike, take on the deadliest case of their lives, in the new masterpiece of suspense from the #1 New York Times bestselling author. When single mother Devon Connor hires private investigator Elvis Cole, it’s because her troubled teenage son Tyson is flashing cash and she’s afraid he’s dealing drugs. But the truth is devastatingly different. With two other partners in crime, he’s been responsible for a string of high-end burglaries, a crime spree that takes a deadly turn when one of them is murdered and Tyson and his girlfriend disappear. They stole the wrong thing from the wrong man. Determined to get it back, he has hired a team that is smart and brutal, and to even the odds, Cole calls in his friends Joe Pike and Jon Stone. But even they may be overmatched. The hired killers are leaving a trail of bodies in their wake. A few more won’t make any difference. Elvis Cole #17!!! 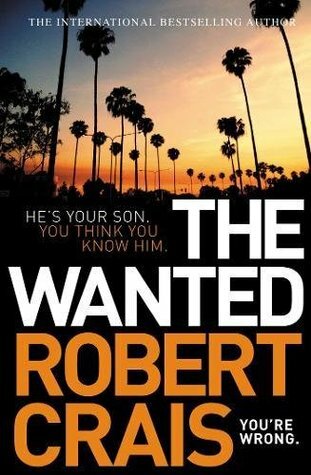 How is it that I have only just been introduced to Robert Crais? Pleased to meet you by the way Robert. Despite being book 17 in this series it was easy to read this as a standalone, but you won’t want to do that such is the calibre of the writing, the realistic characterisations, the dialogue – witty, a little self-deprecating at time. Robert are you sure you are not really an Australian? You share our trade mark sense of humour. If I had to use one word to describe this read I would loudly proclaim SATISFYING!!!! Now to find the first sixteen books in the Elvis Cole series. There is nothing better than discovering a fantastic new to you author unless it is the discovery of said author’s backlist to feast on. This entry was posted in Best Reads of, Best Reads of 2018, Book supplied by publisher or author for review, Crime Fiction, Mystery and Thrillers, Post Script: Book Reviews and tagged best of 2018, Elvis Cole #17. Bookmark the permalink. Ooh, book 17? I haven’t read any by Crais either and you’ve piqued my interest! I may have to go and check him out now. Lucky you! I love immersing myself in a wonderful series.